Monks Barn Farm is a working farm and B & B. The barn is a traditional box-frame structure dating from the sixteenth or seventeenth century. It is five bays long with two wagon entrances on each long side. 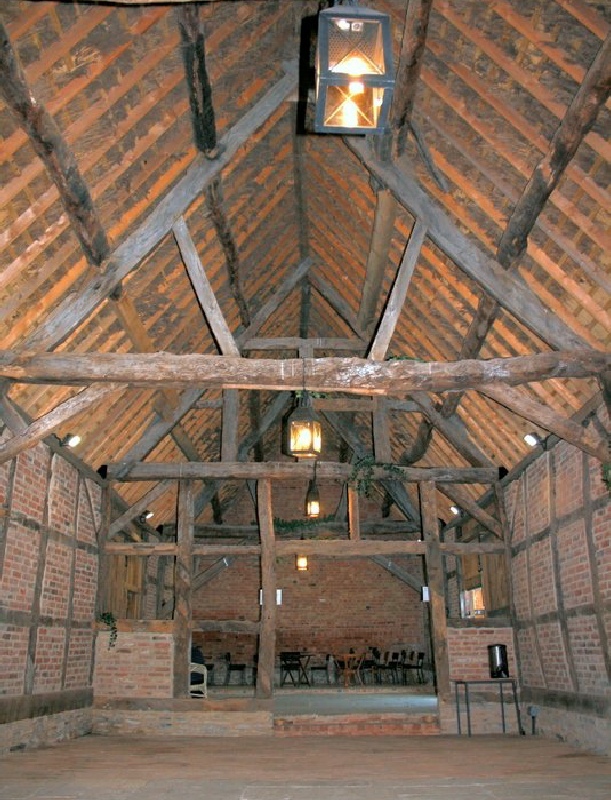 The timber frame is in-filled with brick and it has a thatched roof. Inside it is divided in two by an oak stud-wall, possibly to separate wheat from barley, the two staples of pre-nineteenth century life. The barn has been carefully restored by the owners, but not converted.